So true. I am in the midst of a PPM rollout using a leading PPM vendor product and the biggest challenge for us to adoption is….? Yes, usability. The user experience. It is rare we come across a problem that is technical or due to lack of functionality. Our challenges are that there are too many clicks to get to what you need to see, too many windows to pop up and cancel out of to get the full picture and hover bubbles that don’t give you the relevant information. As some of our user base has commented – the product is “overwhelming”. We are now spending more time on refresher training, one on one user support and help/how to support than we did on configuring the product. 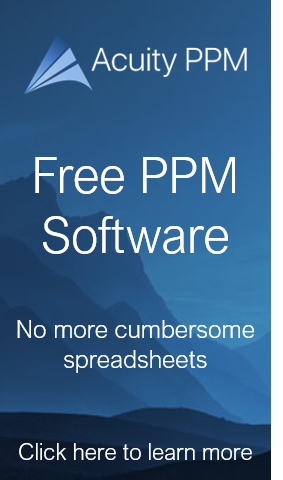 So I whole heartedly agree with Tim’s comments….PPM vendors listen up – your functionality is great, now time to focus on the user experience! It’s ironic that in the subject of Innovation Management software there’s been no innovation. I hope to be changing that.